Hidden object games seem to be everywhere you look these days, in the supermarket, at the Post Office, I even saw a rack of them in the local baker’s the other day. A Cornish Pasty and a hidden object game, please. Some of them are actually pretty good, managing to blend traditional point and click, item combining and location exploring elements. Others, however, are absolute pants and aren’t worth the discs they’re printed on. The Mysterious Case of Dr. Jekyll and Mr. Hyde, from O Games and Joindots, manages to slot itself somewhere in the middle of the range, bringing a modern approach to a literary classic. The year is 1886, London is gripped by the deathly chill of gruesome murders and rumours of a terrible beast that stalks the narrow, cobbled streets in the dark, foggy nights. An alley in Soho, dank, poorly lit, littered with the filth of its unwashed denizens, is the scene of one such grizzly killing. A wealthy member of parliament, Sir. Danvers Carew, has been brutally beaten and strangled. Guess who’s been called in to investigate? You!! The start of the game introduces the base story line, following (roughly) Robert Louis Stevenson’s classic works. The cut scene places you in the dark, Gothic world of 19th Century London, with a dubious English voice actor. From there you enter your name and you, as the new inspector, called from your warm, cosy office in Scotland Yard, have to tramp the cold, damp streets of the big smoke in search of clues. This is where TMCoDJMH differs slightly from the usual hidden object jaunt. Rather than moving around various locations, you are faced with static scenes that need to be ‘solved’ before you can move on to the next. Each scene is made up of countless numbers of objects and a bar at the bottom of the screen tells you what objects are to be found. 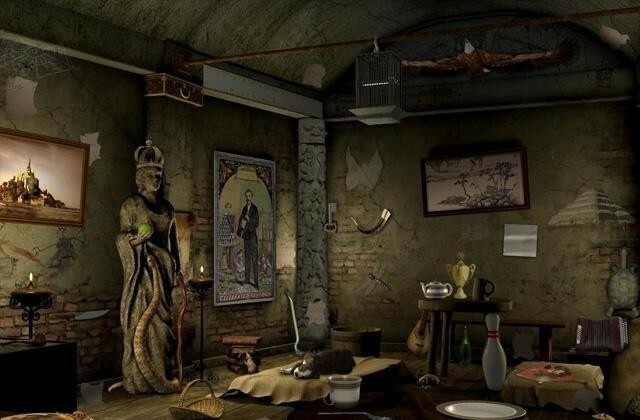 These objects can vary from the Gothic, crime scenario you are investigating, such as a knife, a sickle, or rope, to some very bizarre and totally unrelated items: a dolphin (in the middle of a opium den) or the crown jewels hanging off the light fittings of a toy shop. I suppose there are a finite amount of objects you can have relating to the story and times, but to have to find a tiger in the saloon bar of a waterfront pub seems a bit ridiculous. The story is led through by a handful of characters: a constable, a doctor, the daughter of Mr. Carew, her admirer, several domestic hands and of course, Dr. Jekyll himself. Each character will engage you in conversation, via a cartoon-type speech bubble, all you have to do is read what they’re saying and click ‘continue’, which is easy enough. However, after you’ve squinted at the monitor for ten minutes or so, trying to find the image of a witch, the last thing you want to do is have to read through a load of dialogue, and it doesn’t stop there. Each chapter of the story is split up by the ‘story so far’ dialogue, which is represent in the form of a book. More reading. By this time you’re going cross-eyed from staring at the scenes, which, by the very nature of the hidden objects, makes you lean forward until you are about an inch away from the screen. After you find all the objects you are tasked to locate, the ever helpful characters will pop up and ask you to either find a set number of keys, pieces of a torn picture, finger and foot prints or a doll’s clothing. After finding the extra objects, a puzzle screen will replace the original hidden object scene and from here you will be expected to complete a variety of very simple puzzles: match up a torn letter, fix a gold chain, mix some chemicals and the wonderful, and much loved, sliding window puzzle (uurgg) Luckily, if you’re a bit sick of doing the puzzles, you can opt to skip them after a thirty second window. The graphics are okay, the scenes are drawn and cleverly put together to hide the objects enough to give you a bit of a brain-ache. The real beauty is the atmosphere, especially the fog rolling in of the Thames, this, coupled with a very good music score picks the game up from the bottom of the hidden object rung. But, in all honesty, and despite the thirty scenes and mini-puzzles, The Mysterious Case of Dr. Jekyll and Mr. Hyde is a pretty dull game. The storyline, although based on the book, lacks the punch you get from reading the real thing. There are a good few hours’ worth of play, but I imagine most gamers would probably turn off after fifteen or so minutes, which is a shame, as making a hidden object game based on a classic novel is a really good idea. 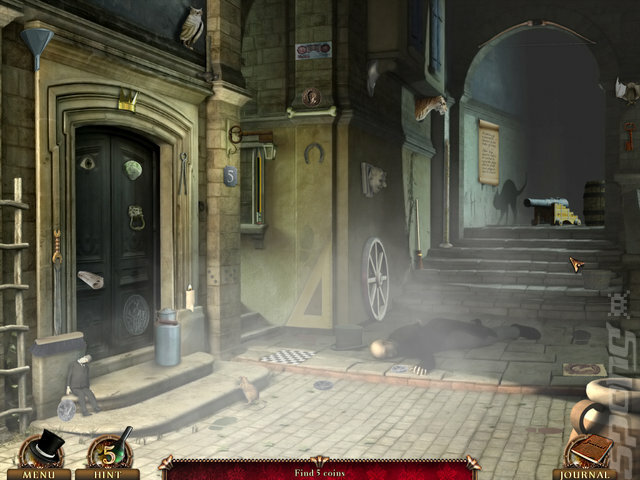 Perhaps if you had more freedom to roam the streets of London, make the investigation yourself (despite the fact we all know who Mr. Hyde really is) rather than follow a linear path, the game would have held more enjoyment. A nice attempt, but unfortunately murdered by the static nature of the game.